Ulysse Nardin keeps expanding its Diver collection. 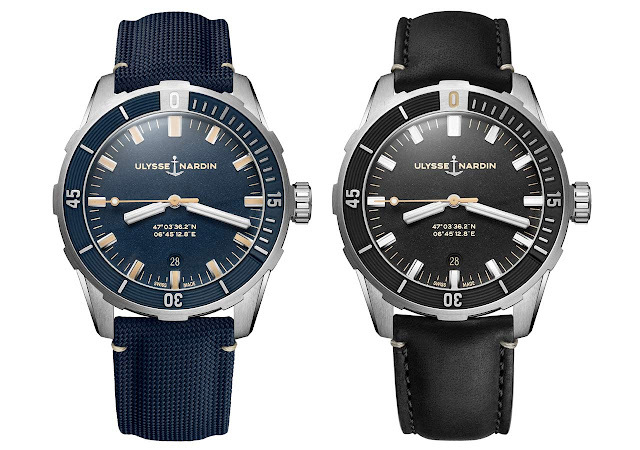 After the 44 mm models, the Swiss brand is presenting new 42 mm "three-hand" timepieces that offer water resistance to 300 metres / 1,000 feet. 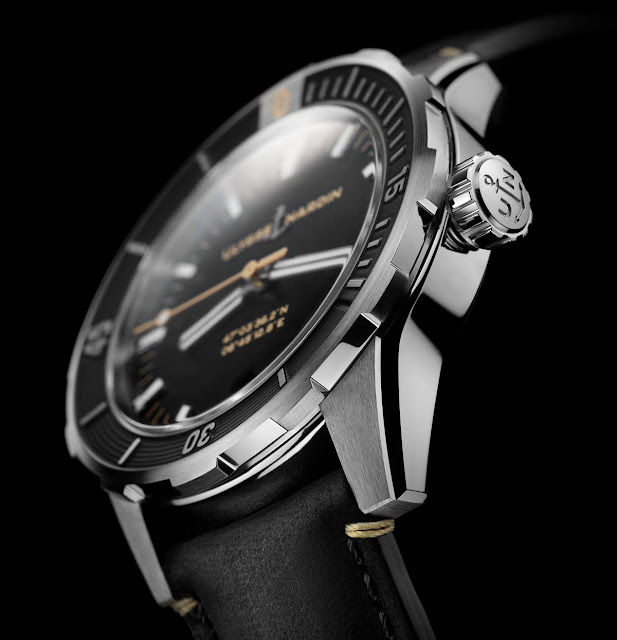 While maintaining some details of the larger brothers, like the concave bezel and the domed sapphire glass, the new Diver 42 models are characterised by a clear vintage-look with an uncluttered dial design, touches of retro beige, and a central second instead of a small second counter. 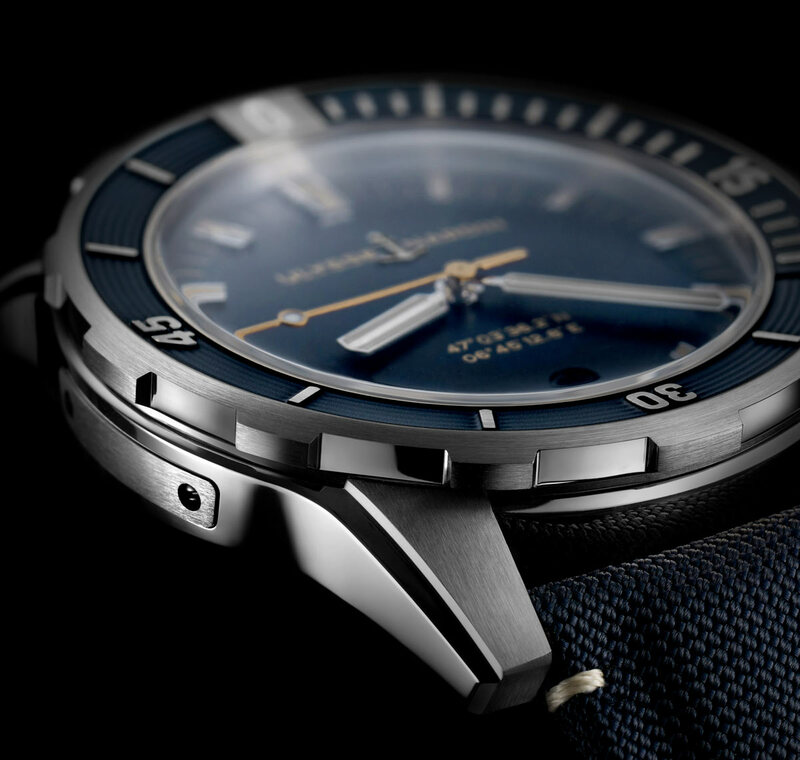 The GPS coordinates of Le Locle, the Manufacture’s hometown since 1846, adorn the sand-blasted dial, available in blue or black. For excellent visibility, even in poor light conditions, Super-LumiNova is used for the hands, the indices and the 0 on the rotating bezel. 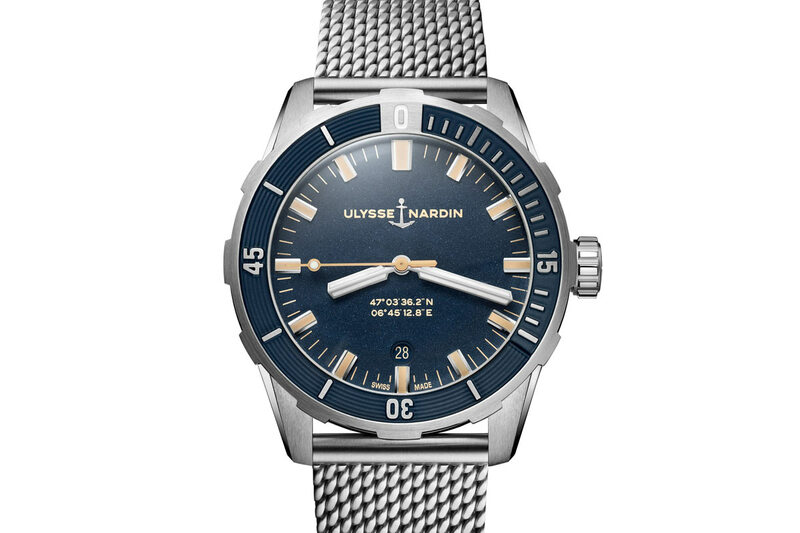 Slim enough to fit under a shirt, the new Diver 42 offers various strap/bracelet options: blue fabric, black veal, three-row stainless-steel or, in a first for Ulysse Nardin, a stainless-steel Milanese mesh bracelet. Beating at 28,800 vibrations per hour, the self-winding Calibre UN-816 offers a power reserve of 42 hours. 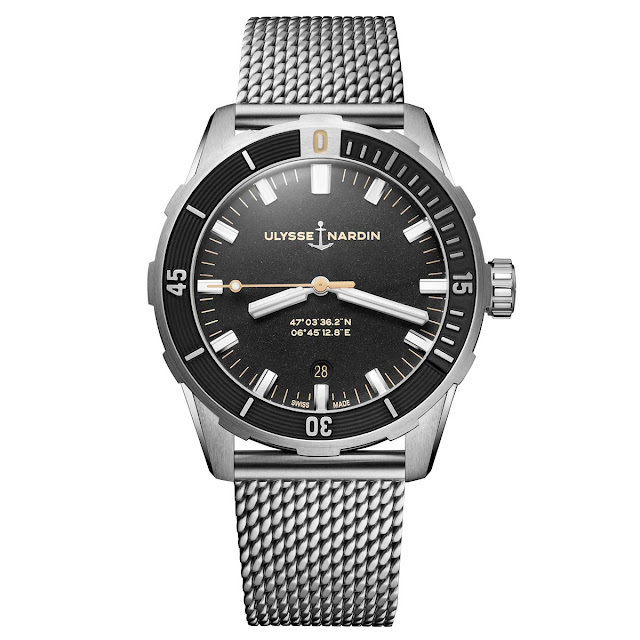 The Ulysse Nardin Diver 42 has a price of Euro 5,800 with strap or Euro 6,500 with metal bracelet. 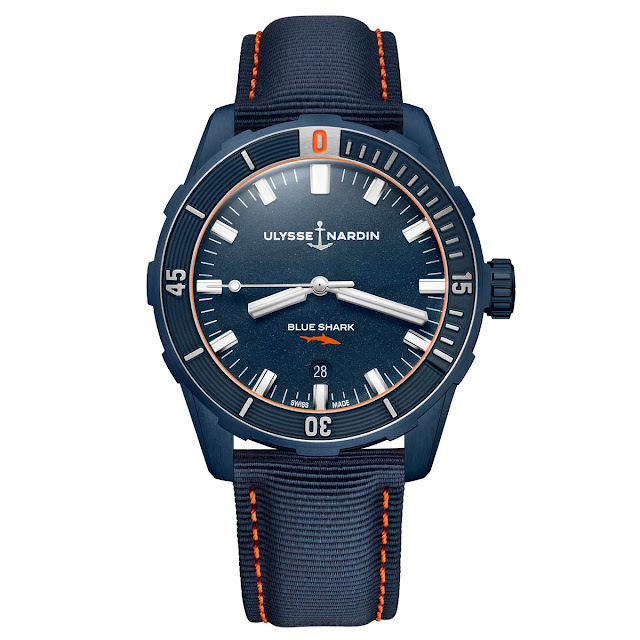 Ulysse Nardin keeps expanding its Diver collection. 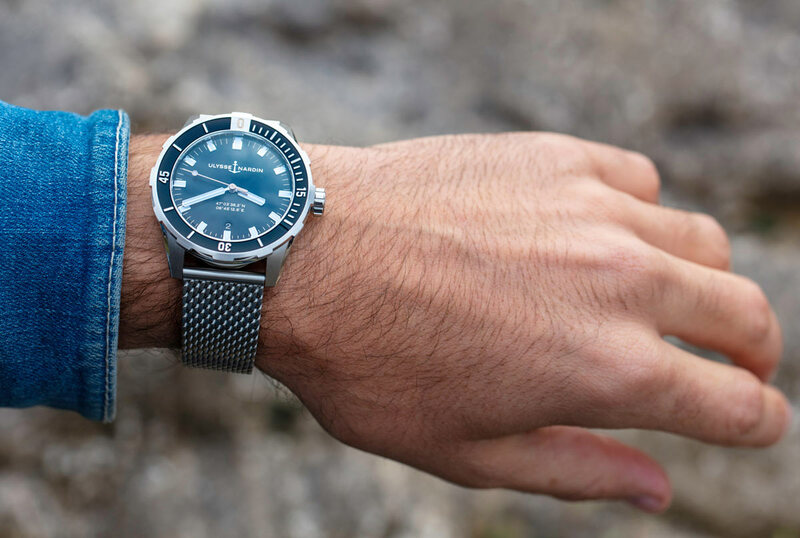 After the 44 mm models, the Swiss brand is presenting new 42 mm "three-hand" timepieces that offer water resistance to 300 metres / 1,000 feet. The Ulysse Nardin Diver 42 has a price of Euro 5,800 with strap or Euro 6,500 with metal bracelet. 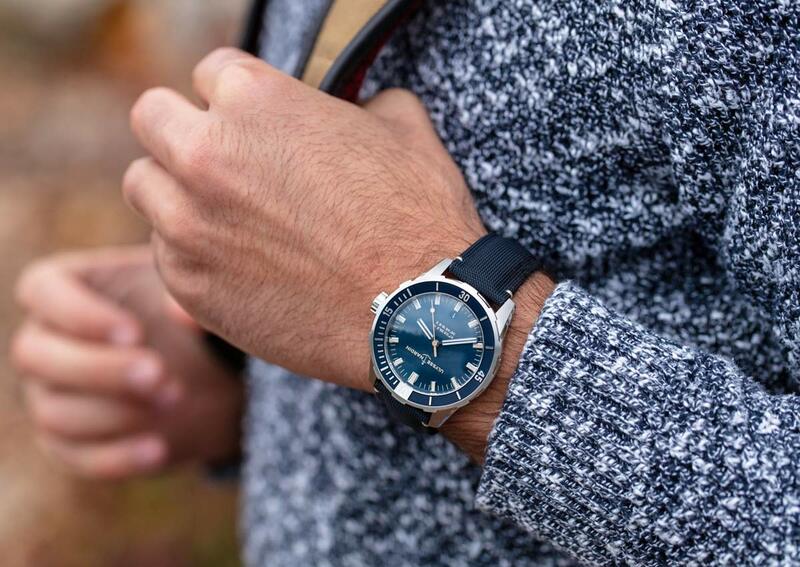 The Diver Blue Shark is also available.